At Waggin’ Tails Pet Ranch, our goal is to give dog owners the knowledge and the level of training that will make living with their pet enjoyable and ensure that the dog has a home for life. We recognize that some people just want specific problems to go away, while other folks wish to pursue more advanced obedience or tricks. We will achieve this primarily through positive reinforcement using a clicker and treats, and incorporating operant conditioning where appropriate. 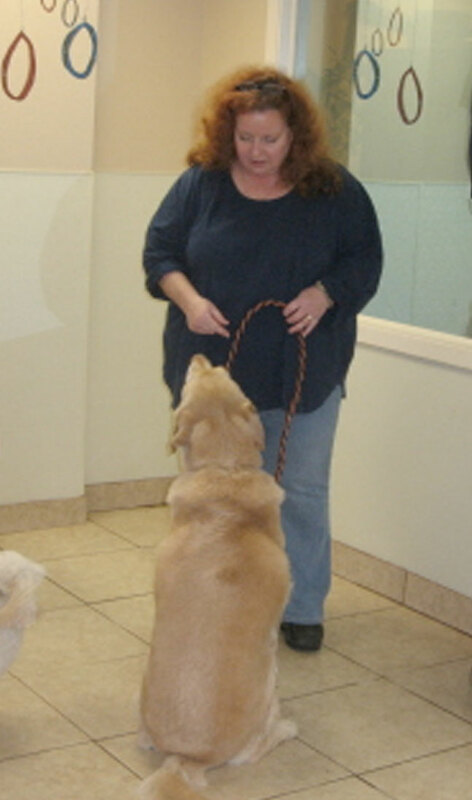 The trainer, Deborah Hoffman, has been involved in training for almost two decades. She spent fourteen years honing her knowledge under the tutelage of Sandy Berry, a NADOI certified Master Trainer. Call us at 281-533-0500 for further information.